The Matinee ’18 November 27th – Part 1 features mostly uplifting tunes, many of which belong on the big screen or should be heard in an arena. There is a wide range of genres, so there should be something for everyone. Once you’ve finished listening to these seven songs, check out Part 2 for another lucky 7 tracks. That mini-playlist is over here. 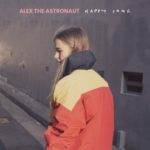 In the 2.5 years we’ve gotten to know Alex Lynn through her music as Alex the Astronaut and her engaging social media posts, an optimism and positivity emanates in everything she does. Even when sharing her innermost thoughts or discussing the people she loves, she always finds the light within the darkness. Her sunny disposition likely was evident early in her childhood when she dreamed about traveling to the stars, and it definitely accompanied her as she went to NYU on a football (or soccer) scholarship and started her own label, Minkowski Records. It is, therefore, fitting that she releases a single called “Happy Song”. The track is the ultimate sing-along. It is made for the upcoming Australian festival circuit and playing at big and small venues to even around the campfire. The folk-pop melody is familiar, yet it is delightful. You stay, however, for Lynn’s uplifting lyrics. She offers words of encouragement, describes moments of comfortable silence, and tells us that we will always have a friend in her. Throughout her short career as a musician, she indeed has always been the artist we’ve turned to when we needed a lift. This year has seen the revival of ’70s music, particularly the psychedelic disco-pop of the era. Even some of the most renowned, mainstream artists have taken stabs at the decade that made bell bottoms and sequins fashionable. One band, however, has done it better than the rest, and that is Montréal’s Anemone. They’ve shared a couple of groovy and stylish singles this year, including the swirling “Sunshine (Back To The Start)”. However, they really turn back the clocks with the equally hypnotic “She’s The One”. Deck out in your best ’70s outfit, flick on the disco ball, and sway under the spell of this scintillating number. The trippy, jangly melody is intoxicating, but front woman Chloé Soldevila’s dreamy vocals are even more addictive. Her soothing approach is right out of the technicolor era, and her story, too, is perfect for the big screen. She tells the tale of a young person who has “waited too long” to make his move and win the heart of the woman of his dreams. For over three minutes, we sit alongside the protagonist and his little emotional adventure. 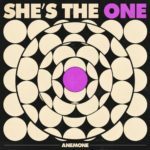 Now you don’t wait too long to get to know Anemone because come February 15th their debut album, Beat My Distance, will arrive. Luminelle Recordings will release it, and pre-orders of the LP are available on Bandcamp. Anemone are Chloé Soldevila (vocals/keys), Miles Dupire-Gagnon (drums), Gabriel Lambert (guitar), Samuel Gemme (bass), and Zachary Irving (guitar). A band’s global popularity is never a good way to measure its talent and respect. A better metric is the artists and bands who decide to collaborate with them on a song or album. 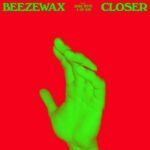 Norwegian indie-rock lifers Beezewax, for instance, have been plying their trade for 23 years now, and people outside of Nordic country likely have never heard of them. 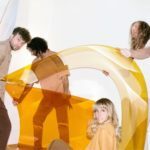 However, Sophia Pettit of Night Flowers and The Posies‘ Jon Auer certainly have, and they’ve lent their voices to the quintet’s new single, “Closer”. This tune is straight out of the ’90s and the college music scene that gave birth to the current indie scene. It is a blissful, summery tune that will warm your soul and make you believe you can accomplish anything. After listening to it once, twice, and three times, you’ll agree that if this tune was released in 1994 or 1995, it likely would have made the Empire Records soundtrack. From the perfectly chiming and jangly guitars to the titillating rhythms to Pettit’s and Auer’s superb vocals and coming-of-age storyline, the song screams the decade that gave us alternative, grunge, and summer blockbusters. It also gave us Beezewax, who should be much more popular than they are. The song is out on Sellout Music. The band includes Jan-Erik Hoel, Thomas Garder Olsen, Chris Jacobs, Mattias Krohn Nielsen, and Kenneth Ishak. “Closest that I’ve ever been to God is a Bible on a nightstand at an old roadside motel. It’s hard to see the light when you’re feeling like a penny at the bottom of a dried-up well. I’d wish upon a star in this drag of a city, but I’ll never see the sky. Welcome back Ms. Pruitt. The world is ready for your clever and imaginative songs. Back in July, Toronto-based Favours perfectly captured the sound of darkness on their ’70s-inspired “In The Night”. The tune was a little spooky and eerie, and it would be perfect on a horror film soundtrack. On their newest foray, they open up the curtains, retract the blinds, and allow the light in on “Stowaway”. 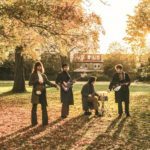 The song brims with the jangly, shoegaze brightness of ’70s Brit dream-pop, in particular Everything But The Girl. 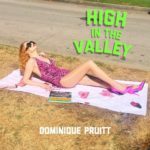 The chiming guitars and the cascading rhythms are wonderfully dizzying, creating a calming, relaxing feeling akin to the open air on your face during a road trip. Meanwhile, smiles will slowly reveal themselves as the dual harmonies tell the tale of a person looking for a fresh start and an opportunity to change. When Jacqueline Andrade succinctly states, “Take another chance and let’s give it all away”, you’re left wandering what can you do to begin anew. To “be your castaway, miles and miles away from here”. If the season was only summer, this would be a great road-trip song (and for those in the Southern Hemisphere it should be on your playlist). Parth Jain, Alexander Zen, Jacqueline Andrade, and Dan Bothen are Favours. Pretty soon, they’ll become permanent favorites of the Toronto indie scene à la Broken Social Scene. When The Walkmen went on hiatus in 2014, the indie scene has been devoid of a band that make classic rock ‘n roll and rockabilly sound like it belonged in the 21st Century. Fortunately, Brighton outfit Fur have stepped up to the plate and filled the gap. They can deliver a rollicking tune or groovy, hip-shaker, which is what they do with “Angele Eyes”. “Angel Eyes” should be on every jukebox on the planet and listed next to The Everly Brothers and Elvis Presley. It should also be played at every dance party, especially one where all the ladies and gentlemen deck out in their best ’50s attire. The tune is fun and energetic, and one that will unquestionably get everyone in a delirious state. If you play this to your friends or a group of strangers, don’t be surprised if they ask you if this is a classic. Should the question be posed, just say yes because eventually “Angel Eyes” will be one, at least within indie and cult circles. Fur are Murray, Harry, Tav, and Flynn. Their self-titled, debut EP will be out February 14th, 2019 via Nice Swan Records. Pre-order it here. 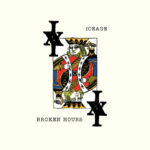 Back in May, Danish rockers Iceage released the tenacious spectacle, Beyondless, which is on the short list for one of 2018’s best albums and one of the decade’s best post-punk number. The hard-working crew of Elias Bender Rønnenfelt (vocals/lyrics), Jakob Tvilling Pless (bass), Dan Kjær Nielsen (drums), and Johan Wieth (guitar), however, are often full of surprises, unexpectedly releasing new material. Or in this case, on the Japanese edition of Beyondless, they included a bonus track called “Broken Hours”, and on Sunday night they opted to share it with the rest of the world. “At times it’s a struggle to forget. At others, it spills right out of my head. Just simply awesome, but we wouldn’t expect anything less from one of indie’s great bands. Beyondless is out and available everywhere via Matador Records.